Bleach formula for tough, commercial-grade cleaning and stain removal. Scrubbing beads penetrate dirt quickly making cleaning fast and efficient. Removes soap scum, scuff marks, blood, urine, mold, mildew, grease, grime, food and beverage stains. 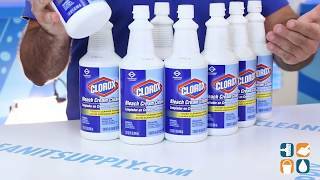 New Clorox Bleach Cream Cleanser has 1.3% sodium hypochlorite and has been tested for compatibility with most hospital surfaces. 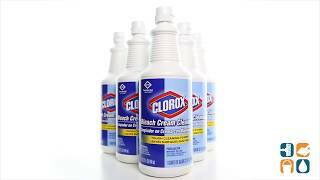 It provides the fast, strong cleaning you expect from Clorox bleach.